Colonnades is the largest shopping centre in Southern Adelaide at the gateway to the Fleurieu Peninsula and McLaren Vale. The centre is located within one of Adelaide’s fastest growth areas, at the heart of South Australia’s premier holiday destination it is known for its picturesque beaches and stunning rural scenery. It is also growing a reputation as a ‘foodie’ destination with boutique wineries and outstanding fresh produce and seafood. 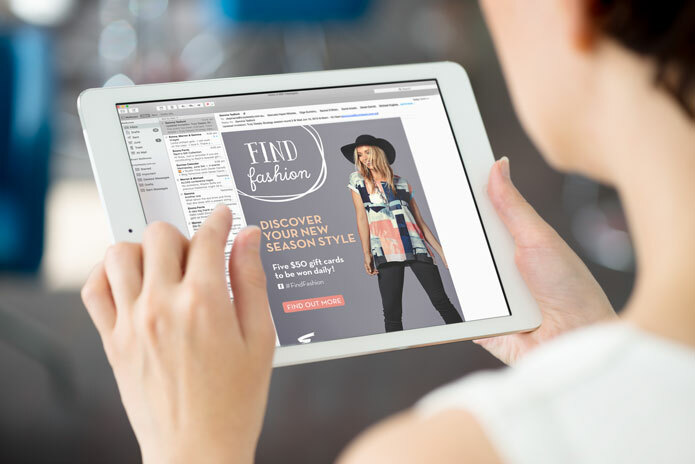 Truly Deeply was briefed to develop a new creative brand platform for all consumer communications, build a flexible creative platform to allow for diverse centre campaigns such as fashion and the fresh food market and tailor the proposition to ‘sell’ the new market place to prospective retailers. We repositioned the centre as a vibrant yet relaxed coastal hub that has a wide selection of fashion, an unrivalled fresh food market, cafes, restaurants and lifestyle choices. An exciting, comfortable, convenient and affordable place to shop, eat and enjoy time with family and friends. 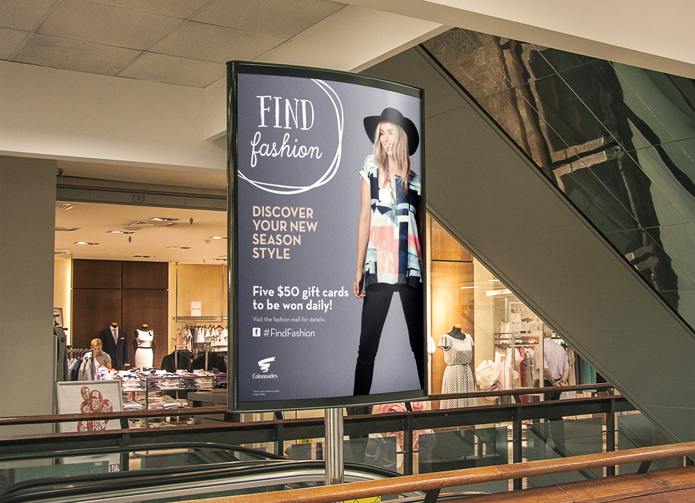 The ‘Find it’ theme is about connecting with our audience and encouraging them to take a fresh look at the centre. We get them; we not only have everything they need but can inspire them to make the most of life. This concept uses a simple and organic device that is inspired by a familiar way for highlighting something we’ve selected or found by circling it. The circled device brings to life the idea of seeking and finding what you’re looking for. 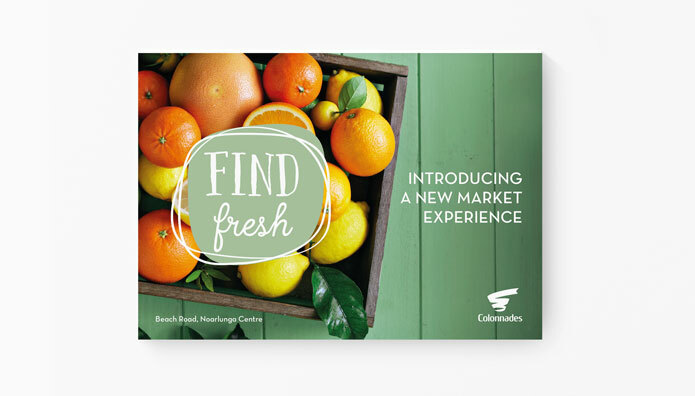 The concept easily adapts to highlight all the different things you can ‘find’ at Colonnades. 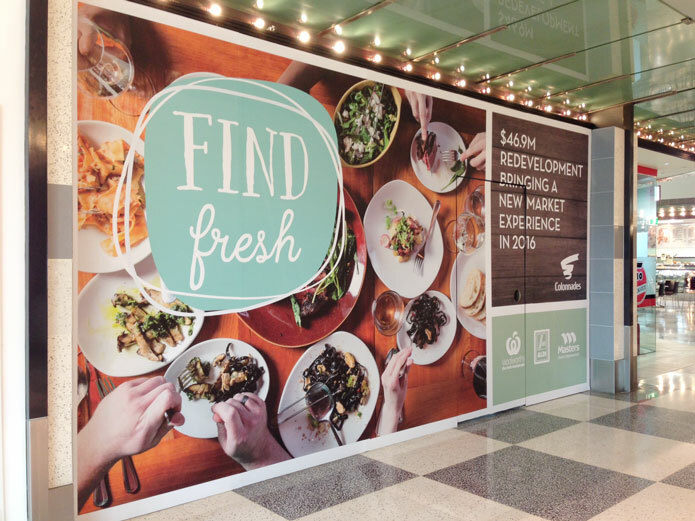 A campaign to communicate new development to bring a fresh food market experience. 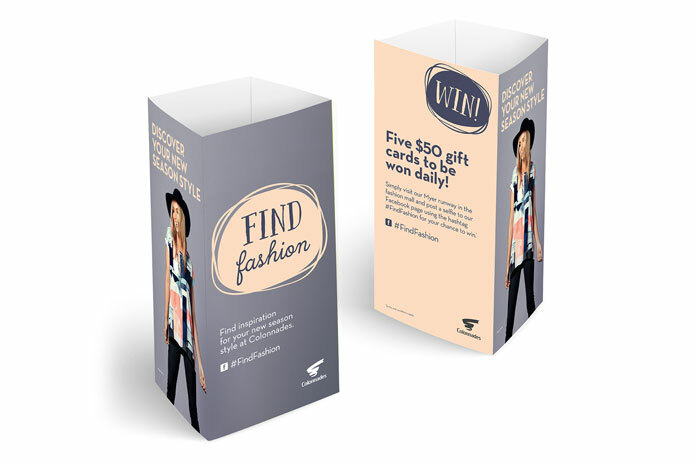 In centre campaign communicating Autumn fashion – EDM, letter box drop, posters, banners, table talkers, digital ads, social media. 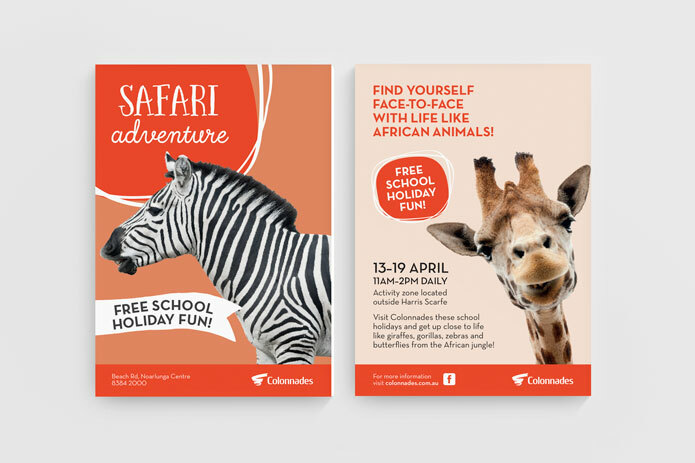 In centre campaign communicating school holidays activities – EDM, letter box drop, posters, banners, table talkers, digital ads, social media. 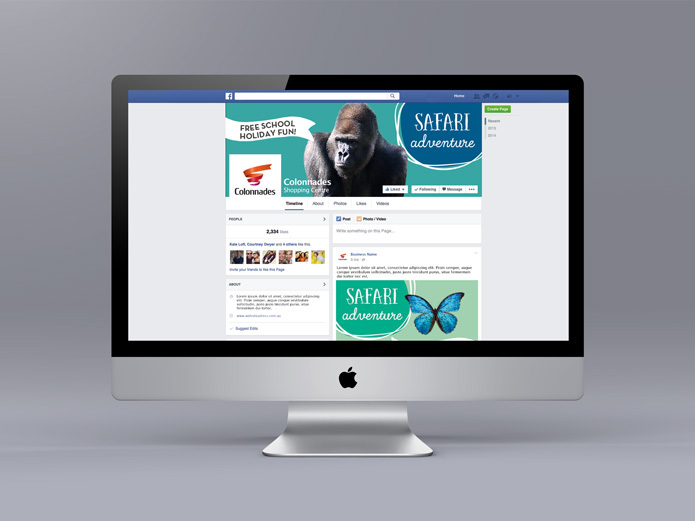 A professional and polished brand identity reflects the company's strategic smarts.